This months Meebox is a bit of a different one. Usually every box is the same so there are no disappointed subscribers but as this month was breast cancer awareness they went for “Lucky Dip Pink” as the theme and everyone got something slightly different. They also donated 10% of the money to Look Good Feel Better which is a lovely gesture and a leaflet about what they do was in each box. So what was in my box? I already have a ton of dotting tools but these are so pretty! Plus you can never have enough so these were a very welcome addition. I’m not sure of the make of them so can’t really put a price on them. This is such a lovely hand cream. The scent is beautiful but subtle which appeals to me, I’m not a fan of something over powering as it tends to get on my nerves after a while no matter how nice it is. The cream itself feels lovely and you don’t need much plus it doesn’t feel greasy which is always a bonus. This sells for £15.00. More lovely Nail Mail vinyls! 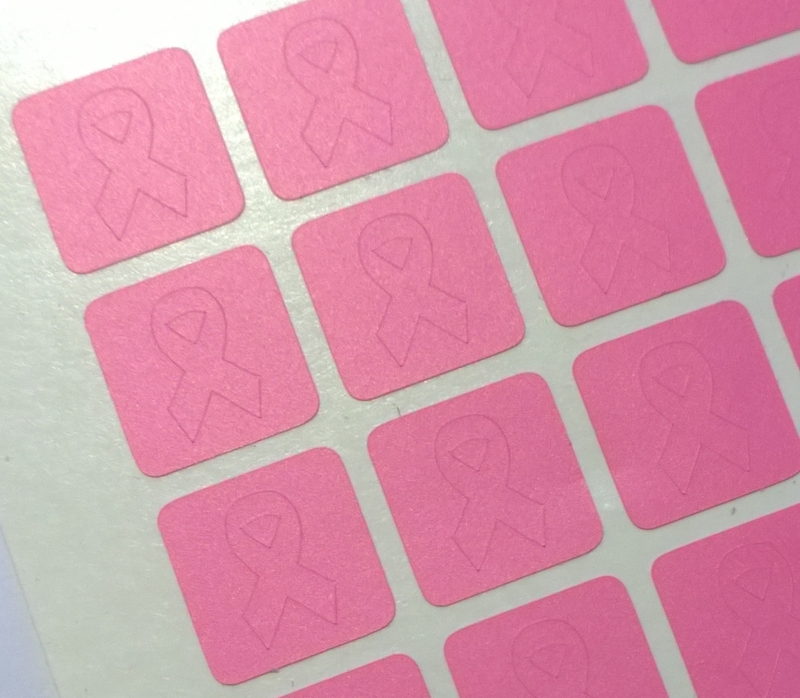 A set of 20 awareness ribbons, these sell for £1.95 and came with a 10% off voucher again. 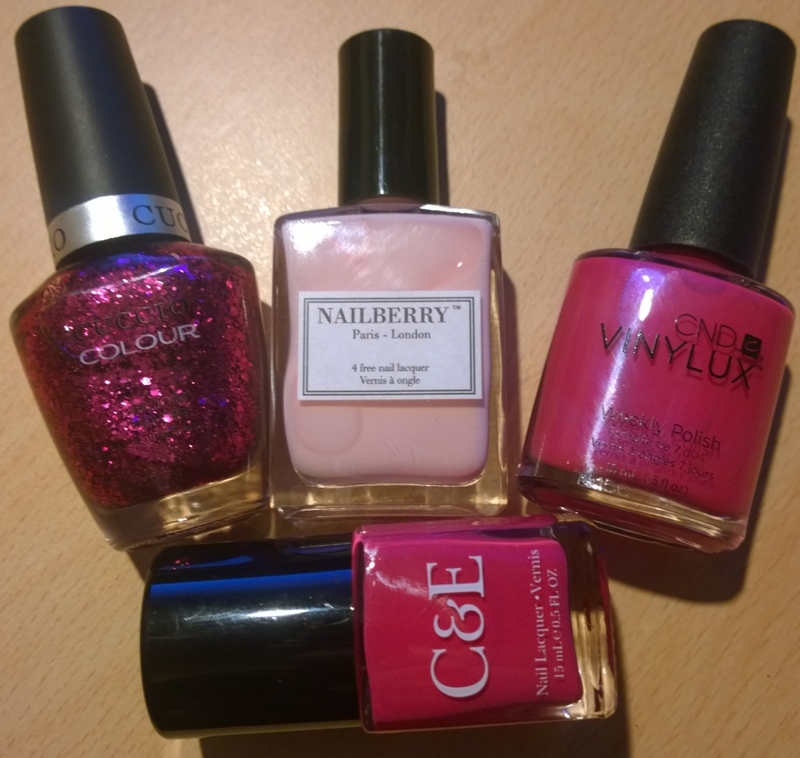 So on to the polishes. Obviously to stick with the theme of the box they are all pink. I’m not a fan of pink at all so I won’t actually be keeping any of these but I did swatch them all for you. I really love the formula of Crabtree & Evelyn’s “Raspberry”. It goes on really smoothly and only took 2 coats to look flawless. It’s a lovely creme that dries to a fantastic shine. This one found a new home with a colleague who loved the colour. This one sells at £6.00. 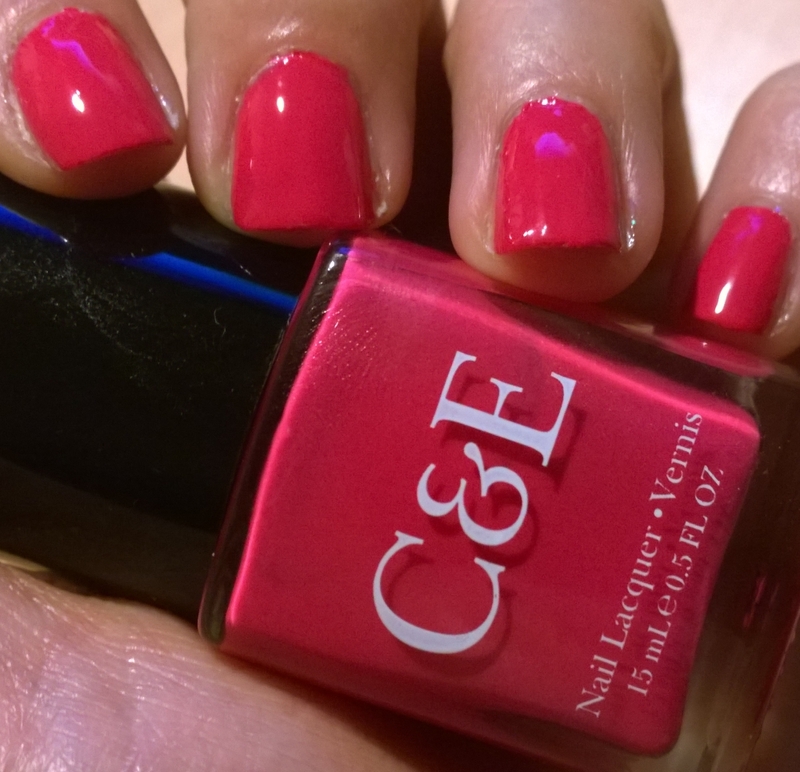 Gorgeous shocking pink, of all the polishes this is the one I’d be more likely to wear. 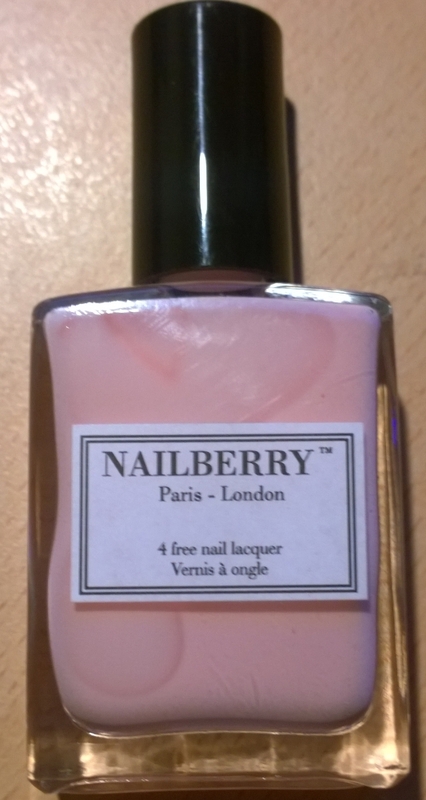 Next up is Nailberry “Pink Me Up”. I actually wasn’t very impressed with this one, the formula seemed quite thin and streaky (though having spoken to someone who got a darker shade in their box they assured me theirs was much better so I think it’s due to being such a pale colour). I also didn’t like the brush; the actual brush is quite thin which is something I can live with but due to the size and shape of the bottle the brush stem is longer than most which made it a bit more difficult to handle. This sells for £13.50. 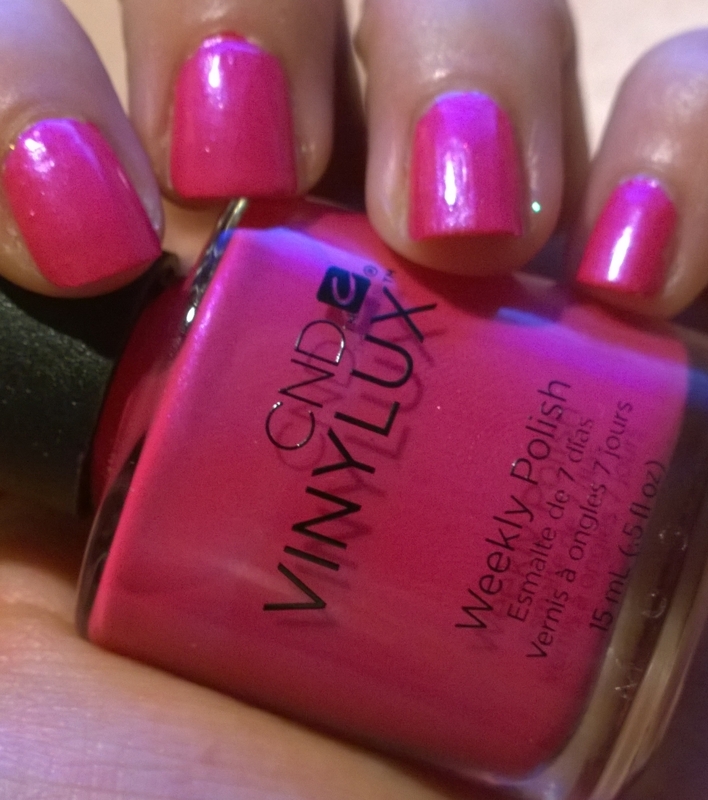 Another CND Vinylux weekly polish, “Tutti Frutti” (I really need to try the one I got from a previous box). 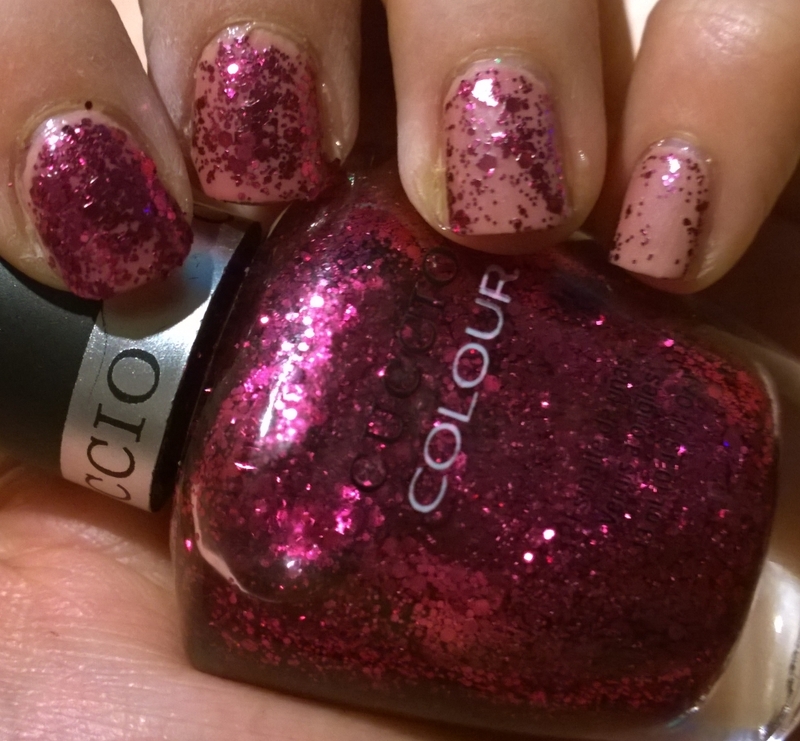 This is another hot pink but with a twist; there’s a duo-chrome shimmer of a lovely blue-purple in there. 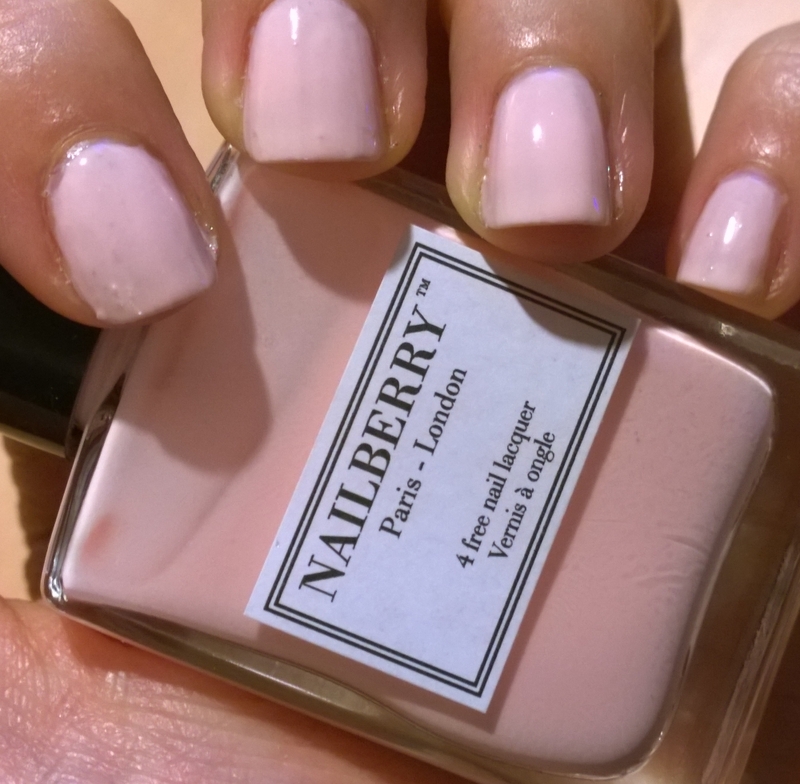 The formula was what you’d expect from CND and went on like a dream with only 2 coats needed. This one sells for around £10.00. Finally we had Cuccio Colour’s “Fever of Love”. I’ve never heard of Cuccio before but from looking on their website it seems they’re a professional brand. Not one I’d ever pick here, not a fan of pink or glitter in general! Still the coverage seemed ok with it. The average price I can find is around £8.00. Coverage is 1 coat on my little finger, 2 on the ring, 3 on the middle and 4 on the index. So there you have it. Not an inspiring box for me, not being a fan of pink, but the proceeds went to a good cause and something I’m always happy to support so I have to say a huge well done and thank you to Meebox for this. Overall the value was around £58.00 so once again an absolute bargain. Who else had this months box and what did you get that was different?